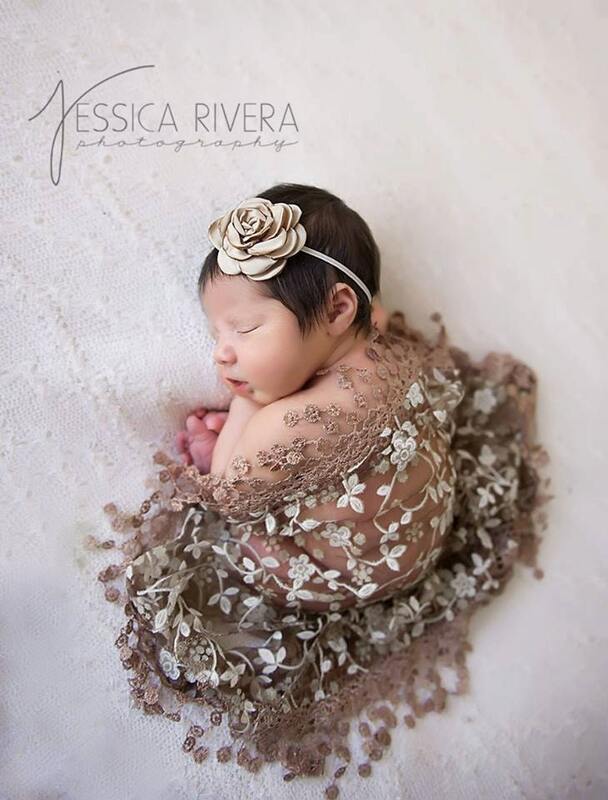 Light Brown Fringe Swaddle Wrap with Satin Rose Flower on a Skinny Elastic Headband for newborn photo shoots, by Lil Miss Sweet Pea. Made with our soft stretch skinny elastic for a comfortable fit. Owner was great! I needed this to be shipped fast so i contacted her and she sent it out the same day. Very high quality and beautiful! I was so excited to receive this! It is even more beautiful in person! Beautiful! 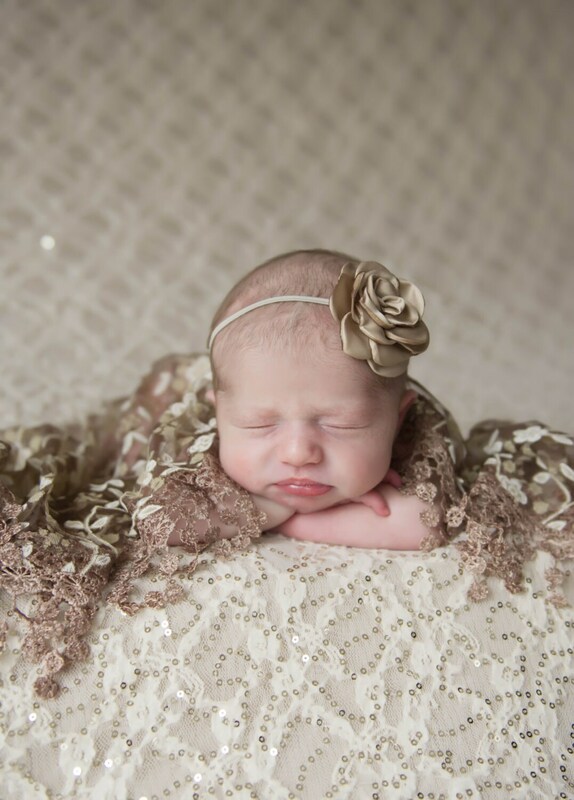 Can't wait to use for my baby girl's newborn photos!